First, congratulations on your decision to be well without using pills and surgery. Second, it must be said: If you are in ill health, have any disease or are taking any medications and want to do the Master Cleanse, consult your licensed healthcare professional first. Most especially, do not discontinue any medications without guidance from a licensed healthcare professional. The various books, reprots and articles of TheMasterCleanse.org have been written and published strictly for informational and educational purposes only. They are not intended to serve as medical advice or to be any form of medical treatment and is not a substitute for a physician. Again. you should always consult your physician before altering or changing any aspect of your medical treatment and/ or undertaking a diet regimen, including the Master Cleanse. Stanley Burroughs would recommended that [highlight]people who are on medications should slowly wean themselves off them over 3 to 4 days[/highlight]. He would suggest that they could possibly go back on their medication, though at a reduced dosage. Check this out with your doctor, before the master cleanse so you can both decide how best to deal with your medications after the master cleanse. In general, most people can can discount the “special” circumstances as a case of the “yabuts”. We have a tendency to think up reasons we're unique so we can have extra attention or set ourselves up for failure. The ego is an amazing thing. There are indeed special situations and certain prescription course that will either preclude you from doing The Master Cleanse or cause you to customize your cleanse with the help of your doctor or health coach / cleanse coach. If you're in this category, you CAN NOT do The Master Cleanse. People with transplants or those taking immunosuppressant drugs cannot do the Master Cleanse because the cleanse will stimulate the immune system and can cause the drugs to fail at their obvious #1 job, to suppress the immune system. But isn't that nice to know that TMC and fasting boosts our immune system? If you're in a dis-ease state, or in any way suffering from poor health you certainly (in most cases), can and even should do TMC. Again, this case will cause for you to consult the professionals on your wellness team. But just as I would be remiss if I didn't clearly disclaim these medical-professional realities, I too would also be doing a disservice if I didn't tell you just how many people report absolute cures, remissions, healings, and otherwise obviate the need for many medications people are using prior to their cleanse experience. If you are in ill health, have any disease or are taking any medications and want to do the Master Cleanse, consult your licensed healthcare professional first. Most especially, do not discontinue any medications without guidance from a licensed healthcare professional. 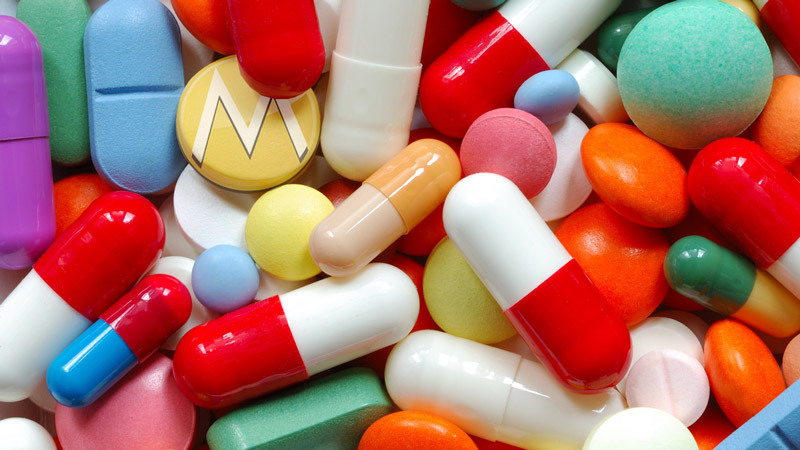 Non-essential medicines such as cold medications, allergy medications, diet pills, sleeping pills, and even pain medications (not prescribed in regime combined with other prescriptions). that are not necessary for maintaining life, might best be omitted. Often you'll want to stop, or wean off well before your Master Cleanse, rather than a cold-start/stop situation on day 1 of the fast. The reason we do TMC is to remove toxins and waste from our physical body and our bodies don't intrinsically know medications are saviours, they are seen, in most cases as toxins from a digestive standpoint. The idea of trying to remove toxins while adding others at the same time doesn't make a lot of sense. Many people advocate for alternate delivery systems of their medications such as liquids rather than pills assuming (as detailed in notes about cayenne pepper capsules) that adding solids to your digestive system will trigger some digestive response. And while that's true, the real reason to want to not take most medications is that they are generally well known to be toxic. Don't think so? Check your label or pamphlet insert disclaimers or just watch late night TV to see how the drug may injure or even kill you long before it helps you. Even the pharmaceutical companies know drugs are toxic. And the body can store these toxins over years, so if you had a long, significan regimen of prescription drugs (strong anti-depressant or chemotherapy medicines) your body may have stored these toxins only to be possibly be released while cleansing. If you are cleansing, and have taken strong medicine in the past, and you begin to notice similar “side” effects of your old medicine, you will want to consider ending the cleanse. You can always to a different form of detox that releases toxins more slowly such as a simple raw food diet with green smoothies and juices. The vast majority of people who do TMC report that they have no problems with their medications, so if you are on medications that you can't wean off, and don't preclude you from cleansing you should have no or little problems. If you do. Consult your team. See your doctor. Give and get more information. Health is a process of feedback that must be engaged in and takes more than 1 person. Don't go this alone. Get a coach! What about taking antibiotics during the TMC? I had planned to start the cleanse in 2 days but know I have an infection from a major surgery and just know that the Dr’s are going to put me on antibiotics. These are also the same Dr’s that want me to do chemo/radiation of which I have declined knowing that there are better alternatives out there for me. Will this cleanse work to heal the body as an antibiotic would? What about taking good suppements like omega 3 , Curcumen ( Tumeric, green tea extract, and my fruits and vegies organic extracts in pill form. The only supplements you should take are transdermal. It’s a 10 day routine designed for a specific purpose. Having a gap in your long-term supplementation routine will barely dent your overall levels, but taking the supplements will stimulate digestion of solids and is not recommended. You should take nothing solid, no food, no pills. I know that this can be a grave concern for many of you, so I’ve done my research by surfing the net, speaking with doctors, and a few “trial and error” routines of my own. The Master Cleanse is designed to partially stint your metabolism so that you are requiring less and less food as time goes on, therefore you eat less and/or better. Weight loss is a side effect! Weight loss has never been the primary goal for this routine, it’s just a perk or “side effect”. Well, because of your digestive tract being slowed near a halt, you can’t eat anything – that defeats the purpose. Pills have to be digested so that they are broken down to access your bloodstream, therefore pills cannot be taken… WHOLE. Many people recommend liquid capsules, but oftentimes your body still has to break down the capsule. SO. If you have a prescription medication that NEEDS to be taken, it needs to be crushed to a fine powder and mixed with a drink from that particular hour of the day. Prescriptions that are required to be taken with food will need a little boost. The recommended solution is to take a men’s or women’s multi-vitamin (crushed, of course) at least forty-five minutes prior to taking your powdered medication, so that your body is tricked into thinking it has had solid nutrients. The multi-vitamins – or prenatal vitamins – are also good for making the entire detox easier, day by day. Additionally, if you have an iron deficiency like myself, the crushed vitamins provide just as much help as they did before the detox and will not harm the detoxing process at all. What is your opinion of prescription pain meds/opioids in this regard? When taken on a long-term daily basis, the body becomes/may become physically dependent, and I wonder if one may experience medication detox/withdrawal symptoms on the cleanse. If the medication does not absorb properly in the system, or if it is eliminated too quickly, this could potentially be a problem. Does the digestion process slow during the cleanse, or does it start working more efficiently? Something as simple as drinking too much apple juice (resulting in a laxative effect) can reduce the time these medications remain in the body, creating a painful drug withdrawal situation. I really wonder about this. In my personal case, I am in the process of weaning off of my pain medication (thank God I have had no problems thus far), and I am seriously concerned about losing my progress– or starting the cleanse, getting “sick”, and then having to abandon my fast. Anybody have experience with any of this? I am double-minded about it- I am thinking it could possibly help the drug detox symptoms disappear more quickly (thus making it easier to wean off); and I am also thinking it could detox the body so well, that the drug withdrawal symptoms would become unbearable. I would hate to begin a negative relationship with fasting. I assume that waiting to cleanse until I am completely off the meds would be the safest route, but I am really not sure. What does anybody think about this? Any insights would be appreciated :D Thanks! What do you think about taking anti-depressants and mood stabilizers during the cleanse…? I have the same question: I can have a seizure and can die due to my brain tumour if I don’t take my meds. My main concern is that my medication is hard on the stomach lining (can deteriorate it) and “has to be taken with food or milk” as per the pharmaceutical instructions. Can I still due this diet? I have done this cleanse once before and continued to take my pills during the cleanse (and I was amazed at the results, with no stomach/stomach lining issues in 10 years to speak of), but that doesn’t mean I should do it again. So whad’ya say? Anyone else tried it during/with their meds? If you are taking regular medications, first of all, you should know everything about those medications including how they work, how they are absorbed, their contraindications, side effects, etc. Then, absolutely do not do this cleanse program (or any other cleanse program) before checking with your doctor telling her/him exactly what your cleanse program consists of and what medications you are on. This is just common sense. I strongly disagree with the other poster who suggests NOT taking prescriptions without a doctor’s permission. For purposes of those “take with food” medicines, many are so that the patient doesn’t experience stomach pain from the harshness of the medication, and the lemonade diet would suffice for that purpose. I can’t think of many ideas that are so obviously unwise as not taking a prescription medication for a medical condition you have without asking your doctor. Internet forums are no substitute for medical judgment from someone who actually knows you personally. If you have a condition requiring medication and you think The Master Cleanse might adversely impact that medication, you should probably wait to start the cleanse. 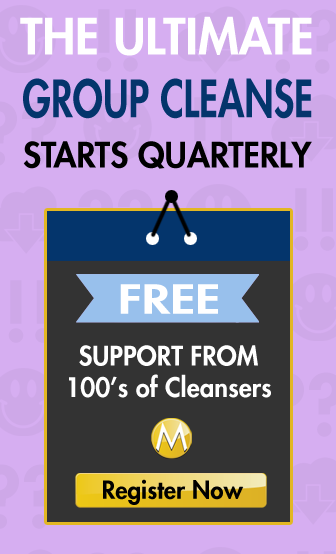 There are many other more gentle cleanses out there that can probably still help you with your cleansing goals. My suggestion: if you are on prescription medication ask your doctor first. Many medications must be taken with food in order to enter the body properly. http://www.doctoryourself.com has some great links about specific aliments/medications. I looked at this with my own issue. I have Hasimotos (a thyroid dysfunction similar to hypothyroidism). This website is not specific the the Master Cleanse; it does however touch on some interesting topics, like juicing. Because of what it said on here I am continuing to take my thyroid medication (I am on day 2 currently of my 1st cleanse ever!). I would also assume diabetics and others with autoimmune diseases would be better to maintain their dosage until they speak with a doctor. You should always have your levels checked frequently as it is. I intend to have my levels checked within the month when I complete the MC; taking too much of your medication when your levels change is just as bad as not enough.